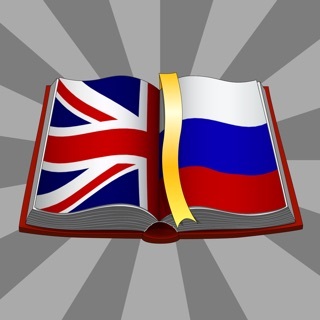 English to Russian & Russian to English Translator & Dictionary with ability to search long sentences & expressions. Support finding sentences, phrases, related words. 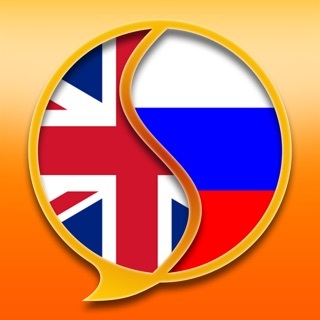 Great offline app for Russian! As with all apps, you need more than one, especially for translation when you are overseas. I like this because it works off-line. You can’t always depend on Internet. I like how it gives you the translation you’re looking for, and a whole bunch of other related translations that you meant to say or might need. It should be a good assumption that you have some basic command of your target language so you are able to discern and choose the best translation for what you mean to say. 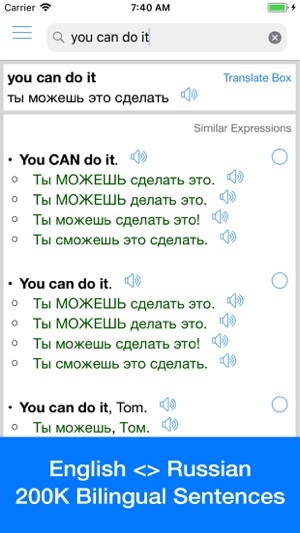 I would pair this wonderful app with (all following are apps) Collins Russian dictionary, PROMT offline translator and Google Translate. Yes, you get the translation but the ads are too much. They get in the way all the time. Ad videos pop up every minute. And anything you do (press to listen to how a word is pronounced, typing a new word, etc.) it pops up again! Even while just typing 1-3 letters (not even pressing ‘enter’ yet) and it asks multiple time “translate from English to russian or Russian to English” and since I’m not done typing, the word gets autocorrected and I have to RETYPE the whole word just to have the stupid box interrupt my typing again. I probably spend only 10% of my time on the app looking up words and the other 90% of the time I’m pressing out of pop ups and ads. 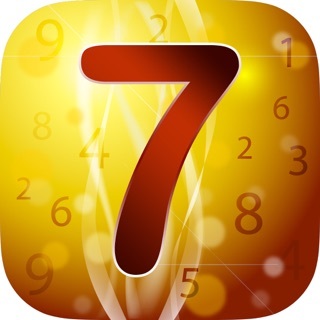 Don’t waste your time with this app. Just use google translate. I don’t understand how this app has so many positive reviews. Probably fake. Please update to newest version. The popup bug has been fixed. Thanks! 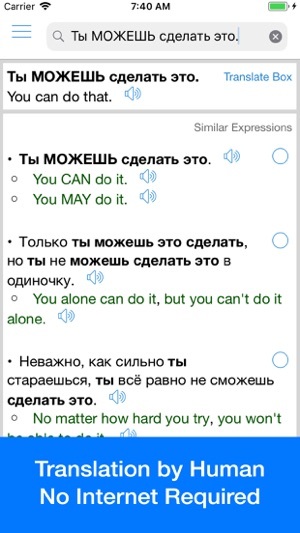 When I search for the translation of a word, please provide a Russian voice recording of that word by itself. It’s very helpful to have several sentences in which the word is used, but I also need the word by itself. Other than that, it was very helpful to have an offline resource handy. Spasiba!